Celebration of Life will take place on Tuesday May 15,2018 at 1pm at Joppa Missionary Baptist Church with Rev. William Wiggins Jr., pastor, Rev. Kevin B. Fisher Sr, officiating and Rev. Ellis Hinton Jr., eulogist. Viewing will take place at the church Monday from 6-8pm. 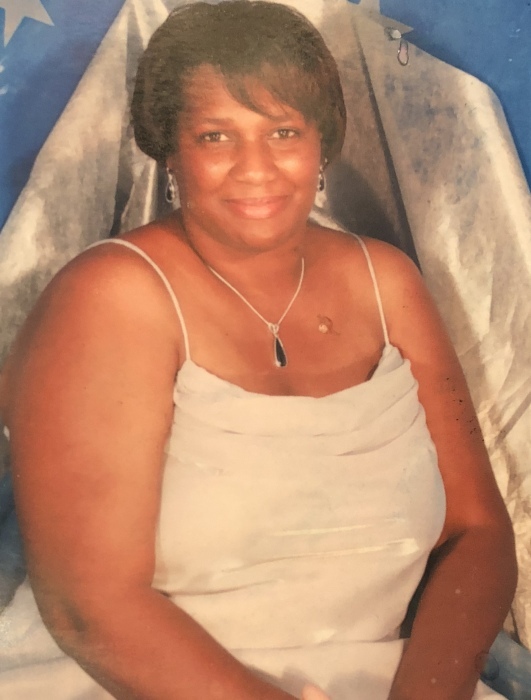 Following the services in the sanctuary, “Tinks” delicate vessel along with her adored family will be escorted to the Hinton Family Cemetery for Interment Rites. Yes this is as far as Mrs. Hinton’s relatives and friends can trod with her on this side of eternity, however, they can find solace understanding she is now in that land flowing with milk and honey and the King of Kings is present with all the saints that have made it in each and every day. Vivian leaves to cherish her memories her husband Rev. Ellis Hinton Jr. of the home;two daughters, Quandra Howell Lewis (Vernon) of Raleigh,NC, Ameyia Hinton of Hobbsville; two sons, Desmond Green (Jalil) of Hamilton,NC and Ellis Hinton III (Zoe) of Salisbury,MD; parents Alice Mae Howell and George and Louise Privott all of Hertford,NC five sisters, Andrea Johnson (Jerry), Tanya Privott, Shareka Alexander (Howard JR), Zita Ferebee(Doran) Mary Howell all of Hertford, NC; one brother Travis Leary (Nakisha) of Hertford, NC; two God children Garrie Privott and Tristen Privott; and a host of aunts,uncles, nieces,nephew, other relatives and friends. Vivian’s remains rest in the care of Hortons Funeral Home and Cremations Hertford,NC.